This pretty fizzy orange soda is in your future if you follow this simple recipe. 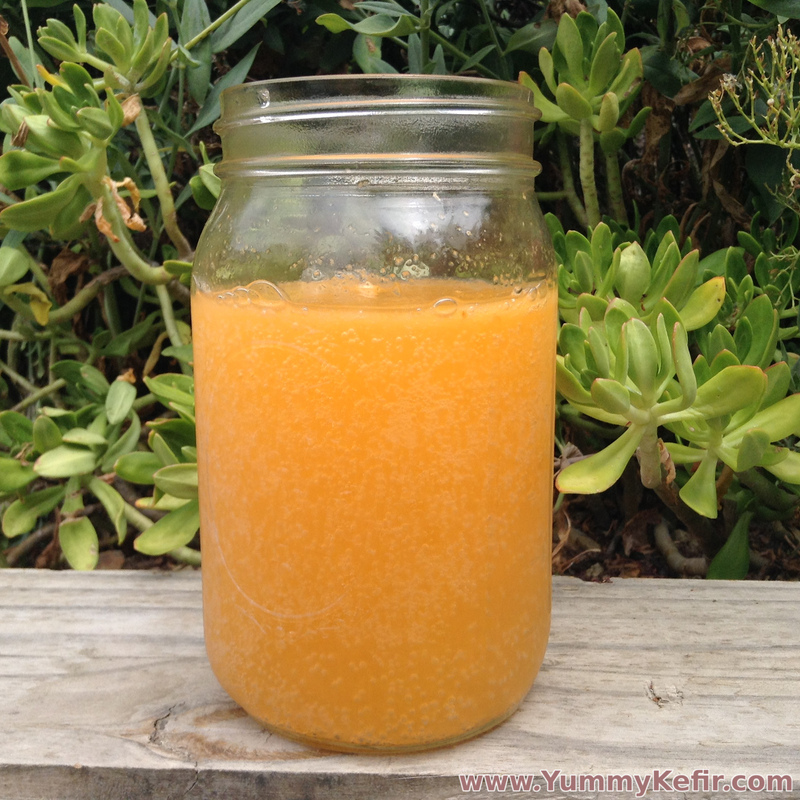 Optionally add in vanilla just before serving to make a yummy vanilla orange kefir soda. Mix together the water kefir and the orange juice. Place in a tightly capped bottle and let sit 1-2 days at room temperature (if you want to create carbonation). Just prior to serving, add in the optional vanilla to create an orange vanilla soda.